AnonD-14481, 25 Feb 2016This phone is not capable of high end gaming. 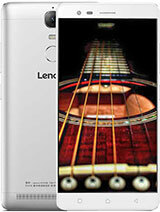 Other than that this phone is Good for sound, ba... moreI can play alsphalt 8 without any lag. heating issue, 24 Feb 2016guyz i m interested to buy dis phone, bt i m taken back due to it's heating issues can someone... moreI'm using p1.Heating only during charging. Not heating while working for several hours. THEHARI, 24 Feb 2016Ans , Solution : Whose internet is not working on V P1 : Go to Settings - Data Usage - Tap on ... moreThanks. I did it but what is that apps:10X? By the way still no internet. Don't know what to do. 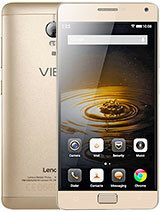 guyz i m interested to buy dis phone, bt i m taken back due to it's heating issues can someone please assist. mugi ! , 22 Feb 2016Can anyone say me how about the front camera of this phone ?Image quality is good if the light is also light. I didn't see any automated softening-effect tool for selfies made with the builtin app though, outdoor selfies might look too sharp to some people. The angle of the lens is not ultra-wide, it's at the edge of wide (27 or 28mm equivalent on full frame cameras). For this reason, barrel distortion tend to be less pronounced, but also the covering angle is narrower, thus requiring a selfie stick for full-height self portraits. The camera app works fine with volume-controlled selfie sticks. Airlander, 22 Feb 2016Can the owners of this phone share with us how much time the battery could last with moderate ... moreTo me, it lasts 2 days with heavy usage, lots of screen on. 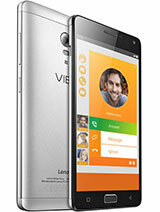 I got the P1Pro variant (3G RAM, 16G storage) with VibeUI based ROM. 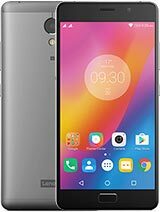 I wanted to check Battery Test Result of Lenovo Vibe P1 and Comparison with other brands. 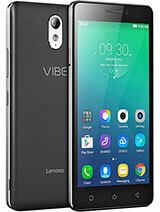 But when I checked there is no Lenovo Vibe P1 result at all. This mobile has the best battery life performance of all smartphones. And you still didn't add it to your battery life list. DANNY, 23 Feb 2016No mobile internet. Just WLAN. Tried everything, no result. Help! Any idea why? Did someone el... moreAns , Solution : Whose internet is not working on V P1 : Go to Settings - Data Usage - Tap on the Icon on right hand side - next to NETWORK apps: 10X. Internet should work fine ! No mobile internet. Just WLAN. Tried everything, no result. Help! Any idea why? Did someone else have this kind of issue? Hi, anybody plz tell me what is device policy ? Which is automatically installed after the s152 update. Shabolo, 17 Feb 2016which is better ..i want a solid phone shouldn't break out when falls in the floor ... ALCATE... moreU know u can use a TPU material back cover on any phone and a tempered screen cover . These 2 things make any phone a lot more damage resistant . How to change font style? Ans , Solution : Whose internet is not working on V P1 : Go to Settings - Data Usage - Tap on the Icon on right hand side - next to NETWORK apps: 10X. Internet should work fine ! 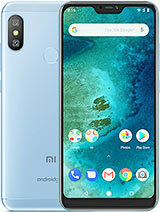 Can anyone say me how about the front camera of this phone ?